Today I found out some exciting news: one of my photographs received a Fearless Award! This winning photograph was taken last year at the Garden House in Northampton, MA. 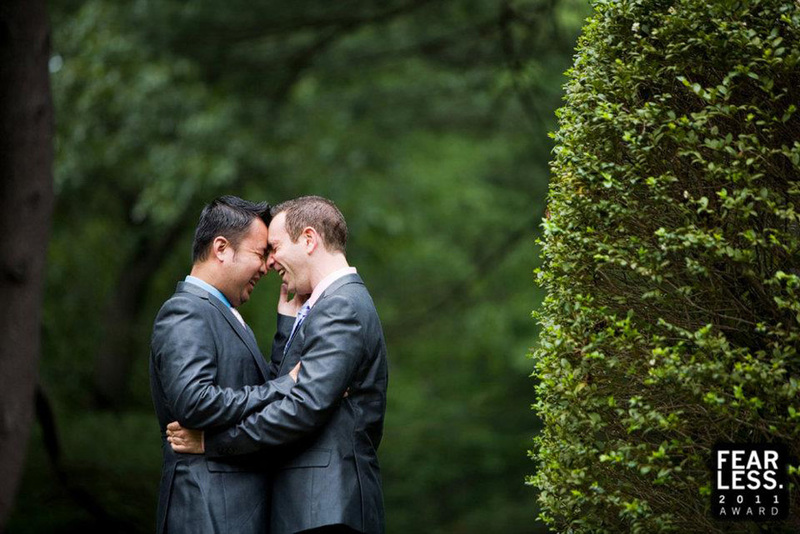 Chee-Seng and Eric were an amazing couple. They shared so much joy and laughter on their wedding day and I was honored to be a part of their celebration. Over 2,000 images were submitted for this latest round and 126 photographs were selected by an amazing group of curators. I am honored to be a part of that group. If you'd like to see all of the winning images you can view them on Facebook. There are some really amazing photographs captured.